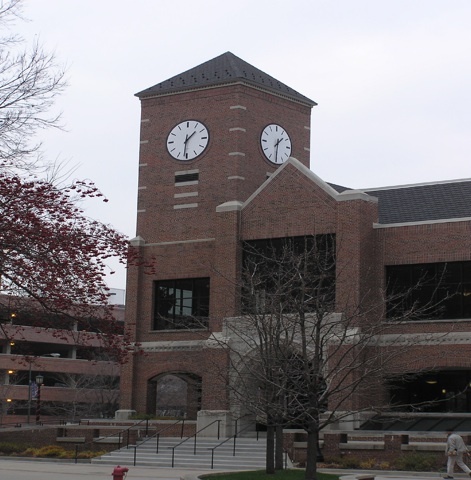 Institutional Project Management has joined with U.S. Equities and Solomon Cordwell Buenz to provide strategic real estate advisory services and conceptual planning to Moody Bible Institute (MBI). 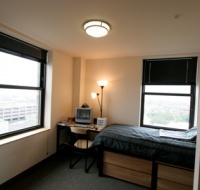 The analysis focuses on two major aspects of strategic campus development; 1) assessing key campus facility needs and opportunities to enhance the campus environment, and 2) identifying strategies and potential revenue enhancement from selling, leasing, or joint-developing real estate not needed for long-term campus development. The Campus sits at the crossroads of two of the most significant arteries on Chicago’s near north side: LaSalle Street and Chicago Avenue. 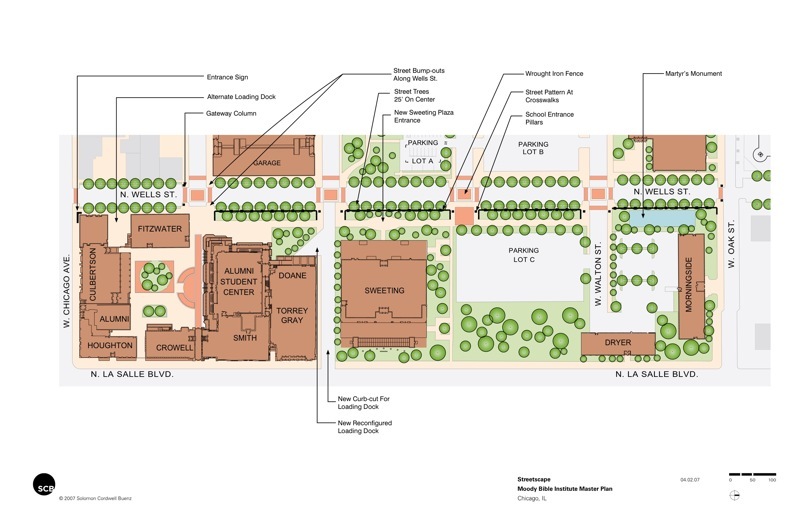 Chicago’s Central Area Plan, a document at the foundation of the City’s land use and zoning policies for the central business district and adjacent neighborhoods, directs the density mixed-use development to both the Chicago Avenue and LaSalle Street corridors. Careful analysis of these existing documents reflected a potential for additional FAR usage within the confines of Moody’s current campus. The leadership of Moody’s had also asked the team to investigate the possibility of developing a new 4000 seat auditorium on-campus to accommodate current events being held elsewhere. 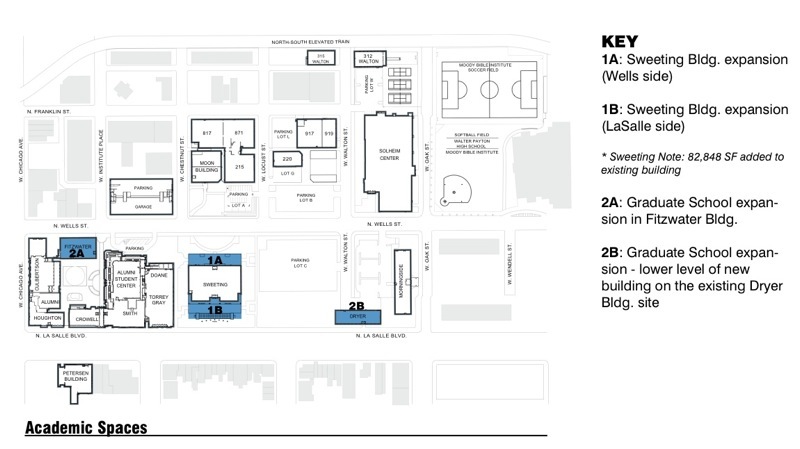 Two schemes and four possible location options were presented. 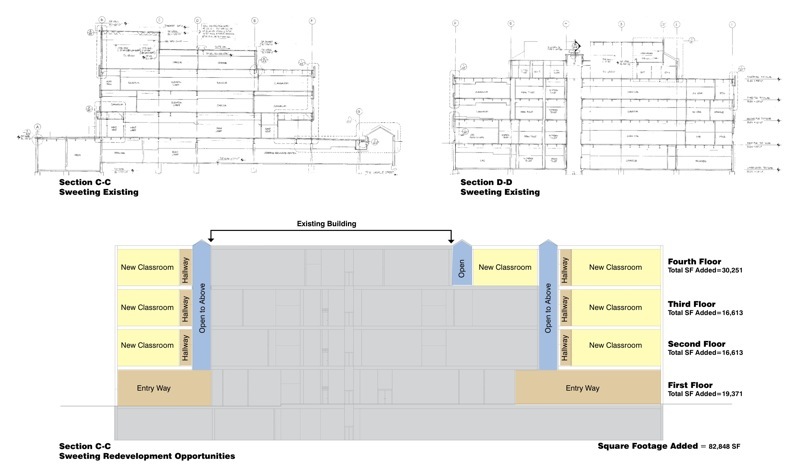 A decision on whether or not to pursue the new auditorium development is key to the long-term campus planning. 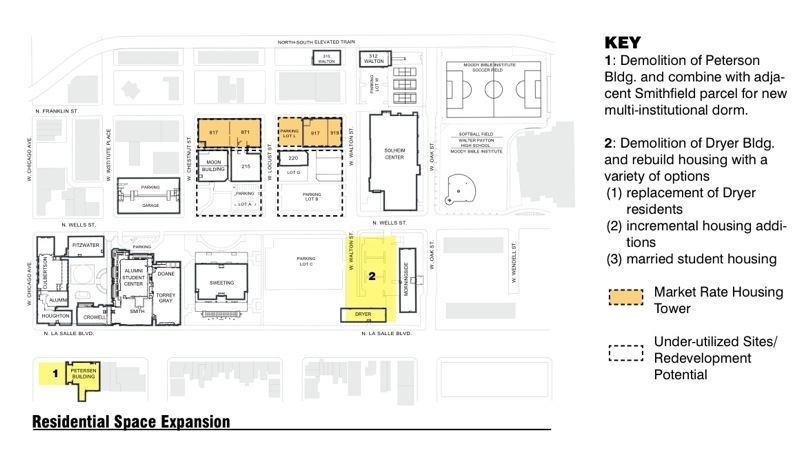 Also, the expansion of existing academic facilities was analyzed such as student housing, academic space expansion, academic space reallocations, greening and streetscaping were analyzed and potential resolution were proposed. Vital to the project was the identification of adaptive reuse of existing real estate for enhanced revenue opportunities.